i think it would be fair to say that the world is composed of idiots and non-idiots, many of which will crossover to the opposite side at unpredictable points of the curve. for if we knew when someone held a specific propensity to be idiotic, the effect could probably be comfortably avoided. it is also fair to relate that amongst the idiots, some drive cars and some ride bicycles. those of us on two wheels can self-righteously hold the moral high-ground, but i've seen enough idiocy from both visiting and indigenous cyclists to know that we're not always right. however, in order to rally round the flag so to speak, you will forgive me if i highlight a less than sterling piece of driving experienced on return from yesterday's sunday ride. it took seconds, and to be honest, the three of us comprising our compact and bijou peloton were never in any real danger. unfortunately, the driver of the car travelling in the opposite direction was the fellow who might have had more cause for concern. we were overtaken by a motor car travelling in the same direction as ourselves, leaving us plenty of room; the only fly in the ointment was the fact that there was indeed a vehicle travelling in the opposite direction, narrowly avoided by the chap at fault pulling in rather sharply. was this a lack of observation, a lack of sense or a lack of visibility on our part? the latter option seems a tad unlikely since, as i said, we were given reasonable distance as the car passed us. but you do have to wonder if we'd been more brightly coloured would the driver have thought twice before overtaking? probably not. couple that with the incident taking place in broad daylight and it was most likely a simple error of judgment. 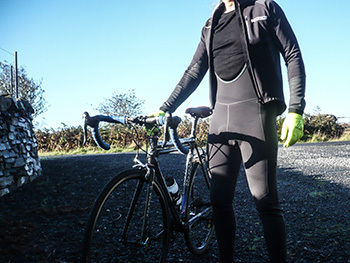 probably quite rightly, the bulk of cycle clothing that concentrates on more than just a modest degree of visibility is aimed at the commuting cyclist, and likely for two reasons. firstly, and i mean no disrespect, the commuting cyclist by and large, rarely has sartorial elegance as their principal concern. yet again, i have no desire to point a less than aesthetic finger at the producers of such highly visible clothing; many do their very best to offer both form and function. however, i think many of us would agree that fluorescent yellow is probably not the way to go in terms of style. a lack of form-fitting in many of those jackets only adds to the hiatus. but secondly and more importantly, commuters frequently have little say over the route taken to work and the time at which that route must be traversed. therefore, dayglo visibility can be more of a necessary defence mechanism taking precedence over how cool you might look in polite company. with only a matter of weeks before the clocks go forward an hour, ealry mornings and late nights are going to be clothed in darkness, quite rightly engendering a christmas tree mentality. however, at the risk of raising ire in that particular sector, it is one well taken care of. 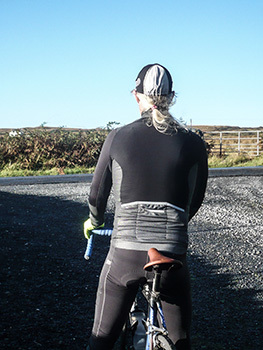 that's not to say there isn't room for improvement, but even the occasional saunter throught evans cycles or any other sizeable cycle retailer will demonstrate a large choice for the itinerant commuting cyclist. 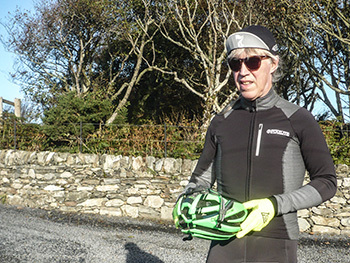 the pelotonese are arguably less demanding in their need for hi-viz and certainly less pressured by awkward timing to go out riding or training. thus many of the current offerings feature sporadic panels and flaps of scotchlite to bounce headlight illumination back towards a following driver. that may well be considered sufficient in many instances, but in truth this is an area where excess is not a word or concept that will ever meet with disapproval. i'd far rather be visible from the international space station than a victim of smidsy. however, the latter notwithstanding, i'd prefer my daylight face to be of a more sober presentation. 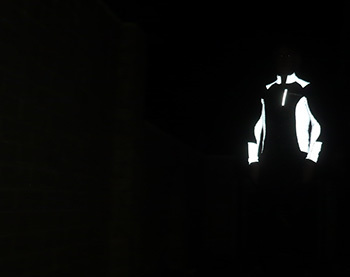 in the case of proviz's pixelite race jacket, daylight shows only black and grey, the latter being the subtle presence of a considerable square centimetrage of scotchlite fabric partially concealed behind mesh paneling. this is, i'd imagine what gives the jacket its name. if i might step back from the visibility factor just for a minute, the jacket itself is a great deal more than just adequate. with a full-length front zip, high collar, three rear pockets aided and abetted by a zipped chest pocket up front and another at the rear, it has pretty much every base covered. add to that its form-fitting constitution and flappage is not a word that could ever be used accusatorily at the pixelite. to help with autumn and winter temperatures it is thoughtfully fleecy lined with tight-fitting but excellently long sleeves. that front zip ends in a zip garage at the neck, a feature for which i am moslty grateful on any jacket or jersey. however, i can only surmise that the growing inclusion of zip garages at the bottom is on the basis that it can be done rather than the fact that anyone has figured out why you would want to. that lower zip garage makes zipping up into a far more faff imbued hardship than it deserves to be. and which part of my body is it designed to protect? as can hopefully be seen from the photographs, the reflectivity of the panels across the front, back and forearms is highly impressive. 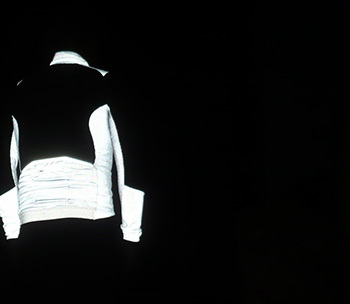 it's an excellent jacket made even better by its visibility factor. though i rarely go out riding in the evenings, many of the routes surrounding the village are in open countryside, devoid of streetlighting and in which i would prefer emulate a lighthouse or super trouper stage light. there's no way you can successfully legislate for any idiocy that may be as prevalent after dark as it is post sunday ride, but at least this way "i'm sorry mate, i didn't see you." is no longer a defensible statement. 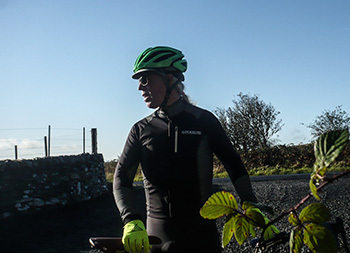 the proviz pixelite softshell jacket is available in sizes ranging from small to xxxl at a retail cost of £119.99.